In an interview Monday about the coming FCC vote over whether to repeal landmark net neutrality rules, agency chairman Ajit Pai took aim at a different group — the Web platforms themselves. Content providers such as Facebook, Google and Twitter, Pai said, deserve more scrutiny over their decisions to restrict political content with pro-Trump and conservative messaging. Pai’s comments on the Fox News show “Tucker Carlson Tonight” come days before a major vote in which the chairman and his fellow Republicans on the Federal Communications Commission are expected to eliminate the Obama-era rules that were designed to ensure that Internet service providers treat all Web traffic equally. If net neutrality is dismantled, Carlson asked Pai, what, if anything, would prevent Internet providers from censoring Fox News over complains about hate speech? 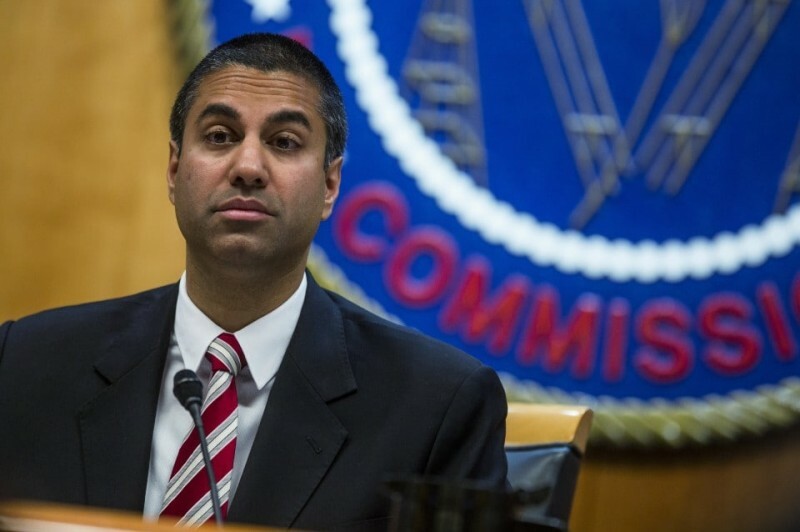 Pai said that the FCC requires transparency, mandating that companies such as Comcast and Verizon disclose such actions and that a different agency, the Federal Trade Commission, would oversee that kind of content restriction. Defending his push to repeal net neutrality, Pai then shifted the focus from Internet service providers to Web platforms, which he said are already impinging on free expression online.